UniversuMM 2018 is now wrapped, folks! The national level youth fest that brought us 4-days’ worth of cultural richness and incredible talent is bidding adieu to MM(DU). 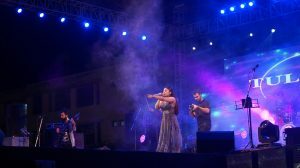 Before the event even kicked off on September 27, we started witnessing the crowded stages of MM(DU) campus; we saw students from various regions of India and other countries rocking stages with their preparations to set the stage on fire. The walls of the various departments were adorned with magnificent artwork, roads with sparkling lights, and stages with incredible decorations. On the show floor, we went up close with everything from incredible paintings to picture-perfect photography, charismatic dances to enthralling fashion walk, extraordinary debates to remarkable sports. What were the major performances at this year’s UniversuMM? Ah! Words would not be sufficient to explain the vigorous and enthusiastic atmosphere witnessed during the 4-day extravaganza! 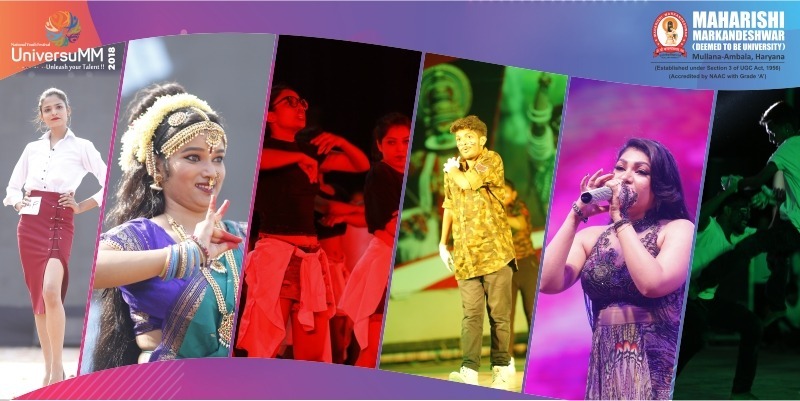 All participants infused their performance with awe-inspiring and heart-throbbing talent and flair, which shows that our youth is all set to take our country to the new heights. Catch the glimpses of all the majors from the mega youth fest of the year 2018. The hustle and bustle of talents were at its fullest right from the day 1- even before that – to participate in the copious events conducted at the mega youth fest. Attracting huge audience, events happened day and night, assuring the immense fun and giving participants a boost to rock off their talent in diverse fields. UniversuMM Youth Fest marked sensation by leaving the audience spellbound with the grand opening at MM(DU). Spreading the message of ‘Unity in Diversity’ and ‘Global Peace’, the youth fest was inaugurated with a colorful procession. The popular DJ Akira and Audio Addict rocked the stage at MM(DU). The performance had such a jubilant crowd, which made the event and experience worth it. 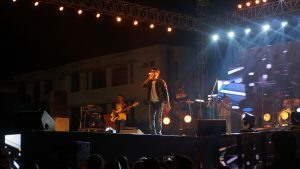 The Stings and Sifarish Band graced the UniversuMM stage and marked sensation at MM(DU) campus. 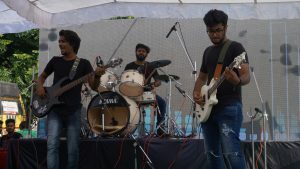 Both the bands rocked the stage and dazzled the audience with their enthralling and spellbinding performance. Bands from across the nation geared up for a musical battle at MM(DU) to set the stage on fire! The crowd went crazy by tapping on the beats and sounds of magnificent bands! Star night took the UniversuMM fest by storm. The beats in the air, the enthusiastic crowd and rapturous applause that was the aura of UniversuMM Star Night. Euphonious Tulsi Kumar and Mohammad Irfan won the heart of audience with their heartthrob show. 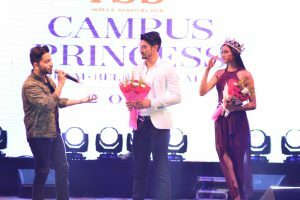 Hunt for Campus Princess drove the audience wild! The event witnessed amalgamation of stylish couture, enthralling music, and rapturous applause. Extremely eye-popping, energetic and awe-inspiring performances were staged by the participants during the event. And amid all these Jam-packed attractions, the competitions across various genres like Literary, Health, Cultural, Sports, Technical, Law, etc. had participants from across the nation to put their best feet forward and win lucrative cash prizes. The youth fest witnessed participation of more than 5000 students from 101 Universities and 192 Collages across the nation and other countries where Lovely Professional University, Jalandhar lifted the overall trophy while the 1st runners-up trophy bagged by Kurukshetra University, Kurukshetra and the 2nd runners-up trophy secured by Panjab University, Chandigarh. Check result of various events in detail by hitting here. On a concluding day, winners received trophies from MM(DU) Treasurer Dr. Vishal Garg along with the chief guest of the occasion Ma’am Santosh Yadav (Dy Speaker, Legislative Assembly, Haryana) and other dignitaries. The grand closing ceremony of UniversuMM 4-day extravaganza ended with the vote of thanks to both the participants and organizers. With an amazing 4 days of life, the UniversuMM team wants to thank all the participants for such an incredible riposte to make the mega-fest remarkable and unforgettable. Be there next year to enjoy and witness the perfect blend of art and creativity at its peak! See Ya!